The thing that always draws me into Tracee Ellis Ross style, is that she likes to have fun with fashion and she likes to step outside of the box. The nominated actress was on hand for the 70th Primetime Emmy awards at the Microsoft Theater on Monday(September 17th) in LA. 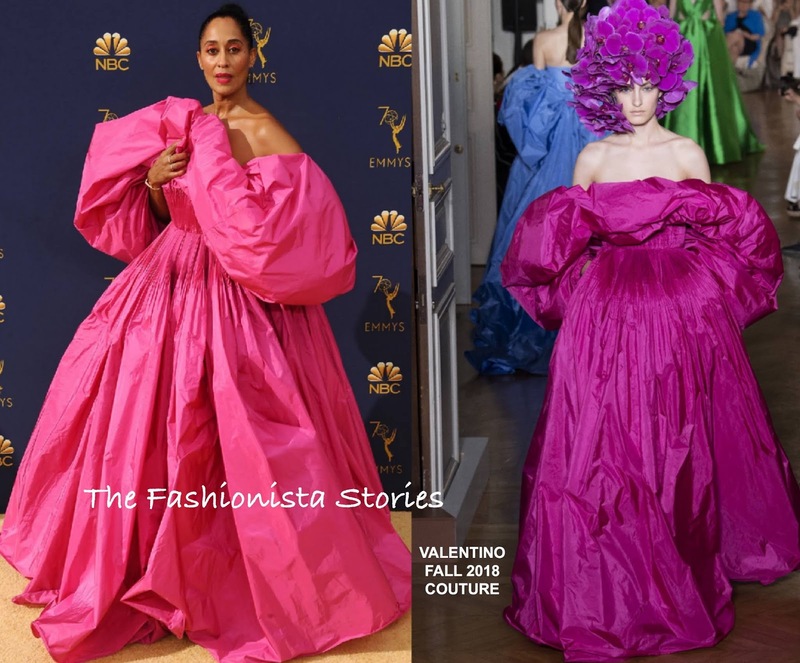 Serving up some drama, she wore a VALENTINO FALL 2018 COUTURE strapless fuchsia voluminous gown which she accessorized with REPOSSI. The reason why I love this on Tracee is because it suits her style. It's a bold, playful, dramatic piece, something that she does well. However she kinds lost me with the makeup. It's just a little too much, especially since her gown is the focal point here. What do you think of Tracee's look?